The Marwar Festival is a popular celebration in the city of Jodhpur in Rajasthan, India. It is an annual music and dance festival that takes place in the month of Ashwin (according to the Hindu calendar) that coincides with September and/or October of the Gregorian calendar. Jodhpur being the capital of the Marwar province at the time; this festival is organized to commemorate the heroes of Rajasthan. It was originally known as the ‘Maand’ festival and is observed for two whole days. The Marwar Festival is one of the most popular fairs in the city that also attract many tourists from not just India but across the globe. During this Festival, the Umaid Bhawan Palace, Mandore and Mehrangarh Fort are used as a stage for performances of dance and music on both days. The Marwar Festival was originally known as the Maand Festival wherein the word ‘Maand’ means a kind of folk music that highlights the romance and courteousness of the rulers of the province. Especially dedicated to the heroes of Rajasthan i.e. the Rajputs, the Marwar Festival recalls their code of conduct, which was the defining characteristic of the Rajputs. The Rajput clan made a name for themselves for being honorable as well as highly intelligent. This festival aims to invoke similar characteristics in the newer generation by relaying history and culture in their folk songs and folk dances. 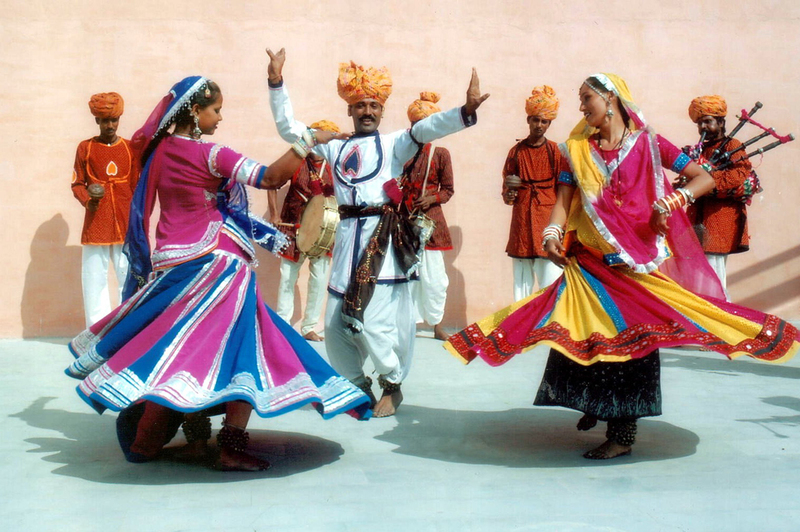 These dancers who relate Rajasthani folklore are dressed in costumes unique to this state. Besides folk songs and other atypical customs, the festival has something for everybody. There are a number of competitions that are organized for the entertainment of the visitors. Since the fair is all about folk dances and folk music, costumes of the performers is of the utmost importance. There are certain folk dances that are always performed at the Marwar Festival, either because of their coinciding background with that of the fair or for the attraction value. A variation of the Gair dance from the Bhil tribe and performed by both men and women, this popular dance form is one of the main attractions of the festival. Women wear bright colored skirts that are teamed up with an equally bright fitted blouse and a dupatta draped around their head and flowing along the back. The men wear red pleated long tunics that flow out into flared skirts with churidar pants under them coupled with saffron colored turbans. Another major tourist attraction of the festival, the kalbeliya dance is a depiction of the snake charmers’ community (i.e. the Kalbeliya) enticing the women who pretend to be the snake. While the snake charmer wears a long shirt that goes below the waist along with dhoti bottoms and a colorful tie and dye turban, the women wear lehenga cholis in the base color black with a number of vivid embellishments in pink, yellow, green, red, blue thread and mirror embroidery along with gota patti work. The head dress is also embroidered in bead and shell work and a beadwork necklace that resembles the choker style is worn by the women. Bangles in silver or white enamel are also worn by the women. Depicting the lifestyle of the women of Rajasthan who have travel a long way each day in search of water, the women perform this dance with brass pots balanced on their heads in colorful lehenga cholis that shimmer and shine at each step. 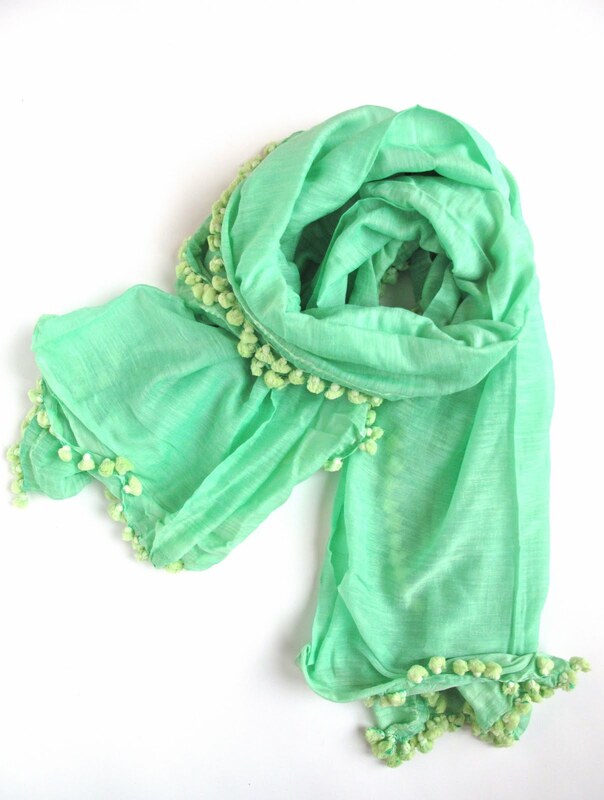 The cholis and dupattas especially are beautifully and vibrantly hued along with being exquisitely embroidered. Churas or churlas also known as armlets are worn by the women to accessorize the costume. This dance is a popular one and is one of the primary tourist attractions at this festival. Ghoomar is derived from a word that means ‘to spin’, implying that the dance is performed by stepping in circular patterns. The beauty of this dance performed by women lies in the flare of their colorful skirts that take on a shimmering quality as the light falls on the exquisite gold-colored embroidery on the ensemble, complete with choli and dupatta. Any number of bright colors can be seen in these costumes that add a whole new level of vibrancy to the atmosphere of the fair. The performers also sport colorful glass bangles. 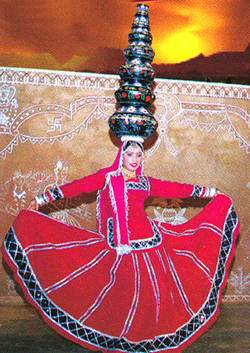 The Bhavai dance, along with being enigmatic in costumes that typically in hues of red, also has shock value in the acts of balancing on glass and swords while also managing a stack of pots on the head. The costumes of the Bhavai dancers are also characterized by the silver armlets worn by the performers, which is a distinguishing feature of the Rajasthani culture. Traders, shopkeepers and showmen who are part of the fair can generally be seen in characteristic Rajasthani attire. These costumes are free fitting and cover the arms, legs, torso and even parts of the head. Women wear skirts that can cover the legs completely or can end slightly above the ankle, along with jacket-like tops that cover the midriff and go up to the hips. The costume is completed with the addition of the odhni or dupatta. The men also wear similar loose clothes. 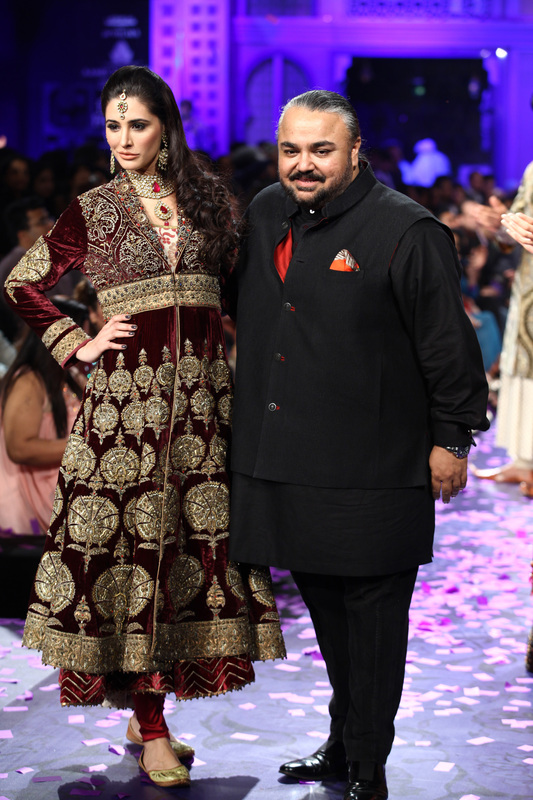 The shirt can either be in the style of a kurta or a jacket coupled with a dhoti. The specialty of Jodhpur is the colorful turbans that the men wear. While the color, size and style of the turban vary from region to region, the local tradesmen sport really colorful turbans in the tie dye or bandhani print, mostly in red, green and yellow. 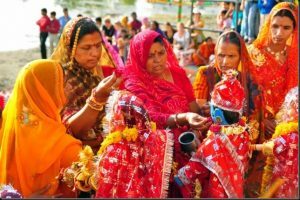 The Marwar Festival is famous for the sale of traditional items such as ethnic clothing in the form of sarees, suits, kurtas and kurtis as well as gems and jewelry. Smaller portable items such as the bandhani tie and dye dupattas, turbans, mirror work handbags are amongst the many accessories one can buy at the Marwar Festival. Handicraft memoirs from the festival are also available in abundance. The Marwar Festival is one of the biggest attractions of Rajasthan and is really popular among tourists due to the splash of color that one can witness during such festivals. Visitors from across the globe, when they attend the festival almost become a part of the show as Rajasthanis are very warm people. Tourists wear the colorful turbans; the women purchase vibrant odhnis and drape them over their heads, wear kurtis and kurtas over balloon pants or harem pants. The men on the other hand also try their hand at wearing the turban and the kurta and teaming it up with dhoti pants or even jeans. 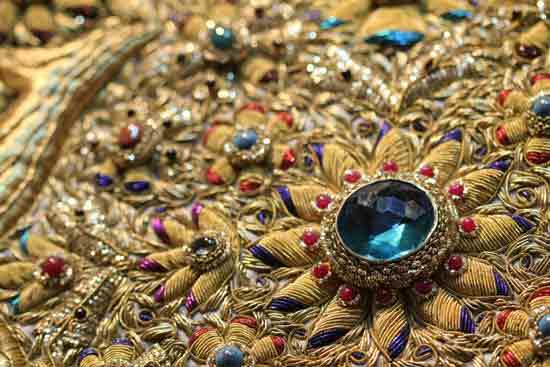 Rajasthani costumes have inspired the creation of many garments whose presence has taken over not just other parts of India but the globe. For instance, Jodhpuris, a kind of fitted pair of pants worn during horse riding gets its name from the city of Jodhpur and is worn by horse-riders world over. Lately it has also become a fashionable item of party wear clothing item known as Jodhpuri pants that men wear along with a full sleeved jacket and women wear with Indian, Western and Indo-Western tops. Other than this a type of bottom wear has come about known as dhoti pants, for both men and women. While the traditional dhoti is hard to wear, dhoti pants are pre-stitched to have the traditional look of a dhoti but that can be slipped on like pajamas held together by a waistband and/or drawstring. Lehengas have been reinvented to become an atypical party wear item that can be embroidered in a variety of different ways that the traditional Rajasthani style. 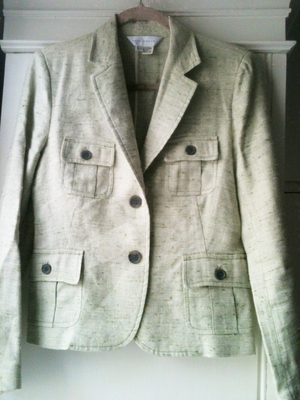 However, the jackets worn by women have been reworked to become slightly shorter and fancier to appeal to modern, urban style sensibilities and societal norms. The days on which the festival is celebrated are the two days of full moon in the month of Ashwin and is known as the Sharad Poornima. Mandore, one of the venues of the festival, lies 8 km outside Jodhpur. The camel tattoo show and polo are a couple of the main attractions of this festival. Some tribes in Rajasthan only use brass jewelry.